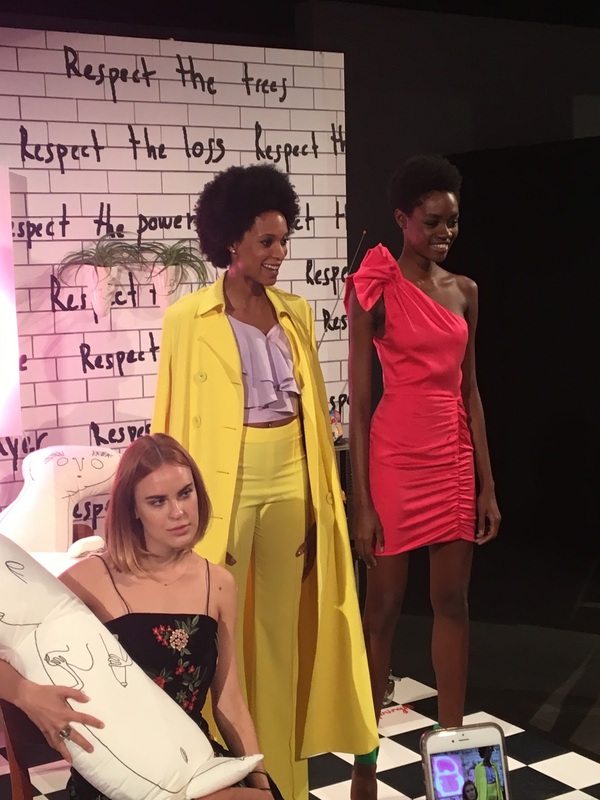 As I mentioned in yesterday’s post; today is my LAST post recapping my September 2017 New York Fashion Week experience. I am still in shock that I was able to attend NYFW and go to so many amazing shows and events. What really topped off the trip though and helped make it my dream fashion week was attending the Alice & Olivia presentation on my last day. 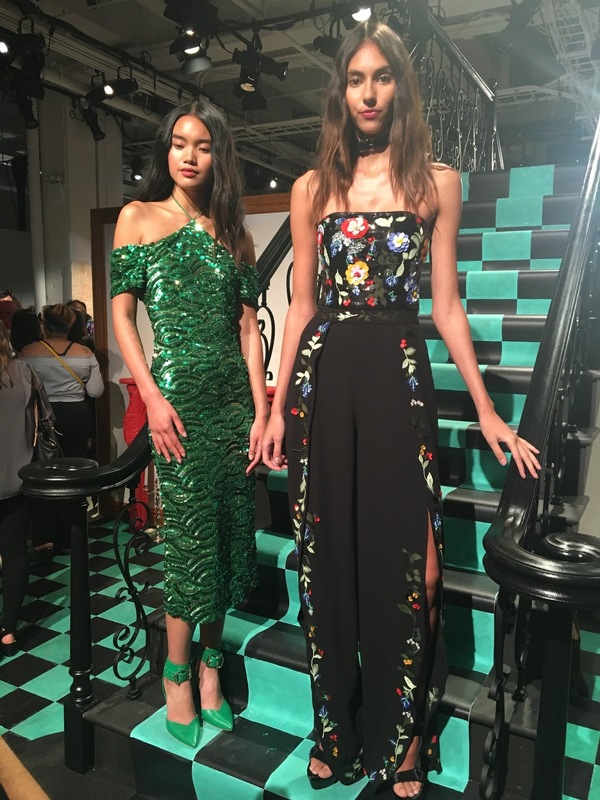 I am a huge Alice & Olivia fan and heard rumblings through the fashion world that the spring/summer 18 collection was particularly stunning. 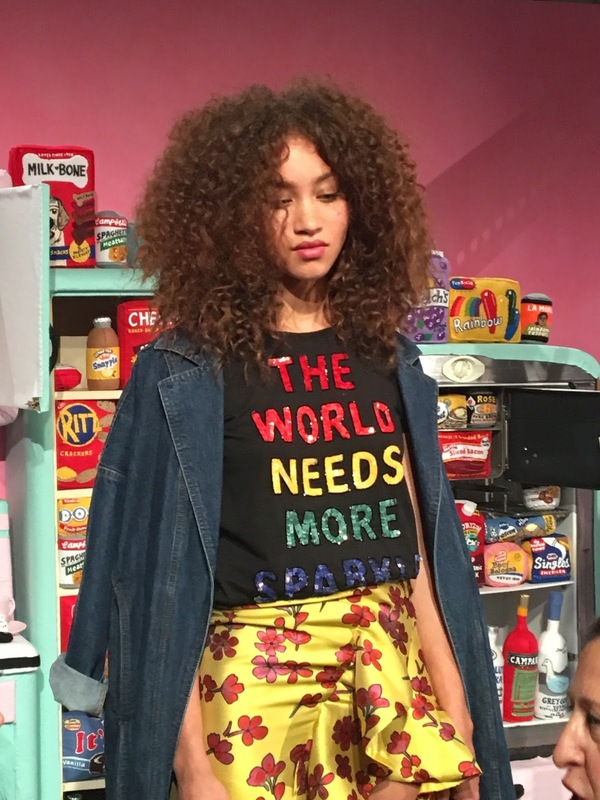 I woke up early on September 12th (despite having had less than four hours of sleep each night of fashion week) just because I was so excited for this presentation! First up though- my blogger squad and I decided that since the presentation wasn’t until 11am, this would be a perfect morning for us to all go out and take some squad pics. These blogger ladies (Jess, Candace, Lily and Keyma) are not only huge fashion inspirations to me, but are also really sweet, really cool people. I can’t imagine fashion week would have been nearly as fun without them! Below are two my favorite photos that we snapped. I’ll also include a widget of what we’re wearing in case you want to shop any of our outfits! After taking way too many photos and drinking way too much coffee, we headed down to Skylight Galleries for the Alice & Olivia presentation. As I mentioned when recapping the Banana Republic presentation, I love the atmosphere of presentations so so much. The energy of the room is just different, and being able to go right up to the clothes allows you to really notice detail and quality you would not typically get to see in a runway show. 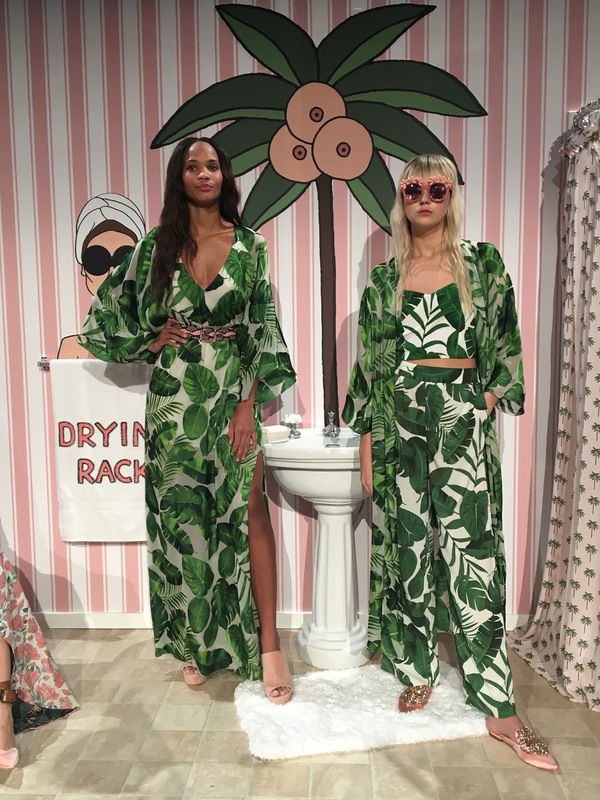 Overall my favorite pieces in the collection are the, below, jumpsuit (I neeeeeed it), sparkle tee shirt, and the above palm tree print items. I’d love to hear your thoughts on this collection and what your favorite piece(s) are! The Alice & Olivia presentation was from 11-1.. but I needed to leave to get back to the hotel and book it to the airport by 12:30. 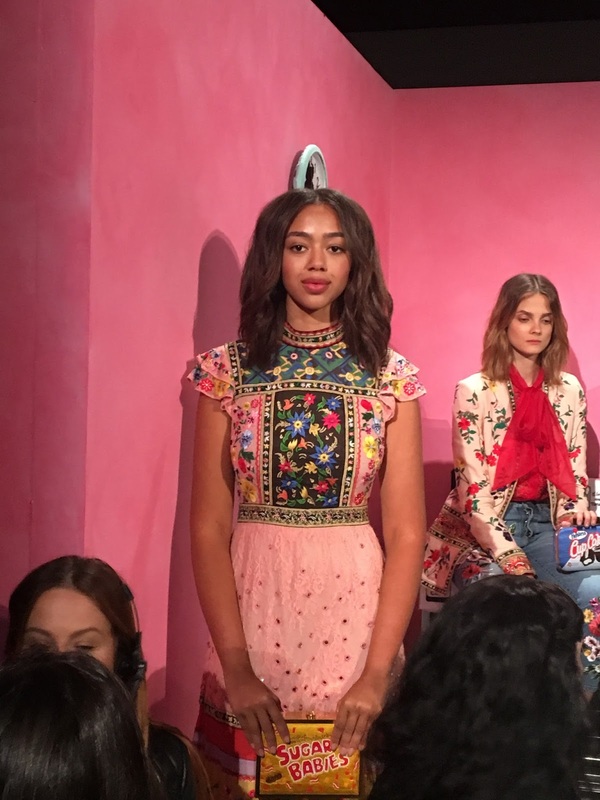 As per usual, NYC traffic was insane so I was in a bit of a panic all the way to JFK, but I made my flight and could not have been happier that I made it to the Alice & Olivia presentation before flying out! 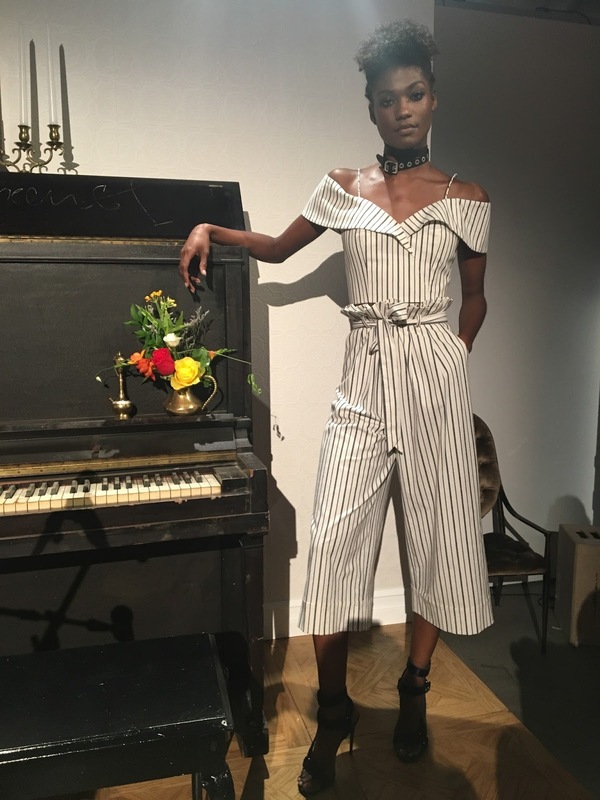 My first fashion week was everything I could have hoped for. I am already getting excited for next year! If you have any questions about my experience at fashion week definitely feel free to ask! "New York Fashion Week – Day 4"
"Bell Sleeves & Fall Colors"
Thank you so much! I had such an awesome time. Can't wait for next year! You all look incredible! The outfits you chose to wear are so fun and I'm very happy to hear that you enjoyed NYFW. You are so lucky to have gone to such amazing shows. Thank you so so much Sheree!! Sounds like a wonderful time! I love all the photos, especially the two of you and your squad.